Organic acreage jumped by 20,000 acres to 112,000 acres in 2016, surpassing the industry’s previous high established in 2008, according to the Organic Agriculture in the Prairies 2016 survey. Prices plunged shortly after 2008, triggering an exodus from organic farming that the sector is only now recovering from. “We’re becoming a more stable sector,” said Kate Storey, president of the Manitoba Organic Alliance. “We’ve regrown to 2008 levels and now we’ve surpassed them but this time all of the farmer supports are more or less there” to avoid another exodus. By supports, Storey means tools like crop insurance and even an agronomist, Katherine Stanley, the alliance recently hired to assist producers with production. However, the fact that its data collection is only for 2016, a year behind, indicates the sector still has a ways to go, Storey said. 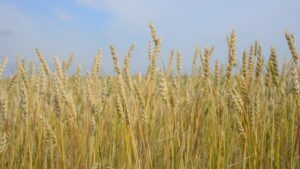 The latest growth in organic farming was helped when organic wheat prices soared to $25 per bushel a couple years ago, versus the $4 to $6 range for non-organic wheat. “That turned heads,” Storey said. The price for organic wheat is more typically in the $16 to $20 range. Organic farmers harvest much smaller crops but they don’t pay huge bills for inputs like pesticides and fertilizer. Storey and her husband grow wheat and keep 40 cattle on 500 acres near Dauphin. The organic designation doesn’t mean they hand-pick the weeds in their wheat fields but rather strategize to out-compete weeds. “Every weed has a particular date when it starts to grow,” Storey said. For example, wild oats will emerge first, followed by wheat, and then wild mustard. So Storey will let the wild oats emerge, then plough them under and seed wheat to get it established before the wild mustard emerges. That way the wheat can out-compete wild mustard. For fertilizer, they rotate their wheat in two fields. Every second year one of the two fields will be planted with a crop they don’t intend to harvest, called green manure, which is ploughed under to replenish the soil. With cattle, they don’t use hormones or antibiotics, and cattle don’t graze on land sprayed with chemicals. If an animal does become sick, they will use antibiotics to make it healthy but sell it into the regular market as non-organic. “We make a living and we do what we like to do and enjoy it. It’s still possible to be a small farmer,” she said. The number of organic growers rose by 16 in 2016, for a total of 186, including 33 cattle producers. More organic farmers are needed because production is not meeting the market’s appetite, said Laura Telford, Manitoba Agriculture organic specialist. “There’s a huge opportunity to grow more acres. We’re not even close” to matching supply with demand, she said. But the latest figures indicate larger producers, devoting perhaps one or two thousand acres to organic production, are starting to enter the sector. That indicates organic production is becoming more mainstream. The survey showed the biggest gains in organic crops were in hemp and pea production. That’s because there have been massive shortages in organic crop in those commodities, along with other farm commodities, Telford said. The market requires about 320,000 acres of organic peas alone, while farmers across Canada grew just 56,000 acres in 2016, she said. With hemp, only about 10 per cent of production is organic while the demand for hemp-based foods is 80 per cent organic. Hemp processors have been upping their prices to encourage more production. Another reason larger producers are entering organic farming is that pasture land can now be designated organic after being pesticide-free for 15 months, versus 36 months previously. As well, producers are now allowed dual production to experiment with organic farming while continuing to farm conventionally. “That’s reducing the risk of getting into organics,” Telford said. Saskatchewan has far more organic production than Manitoba. Saskatchewan has more than three times the cultivated acres as Manitoba but 10 times the organic acreage. 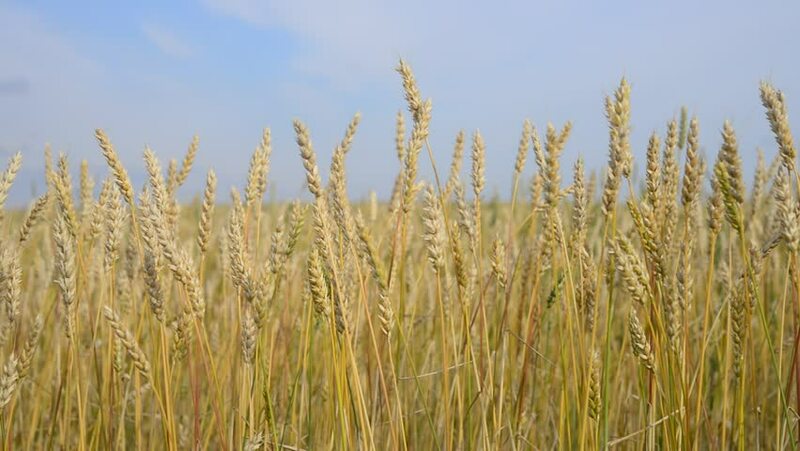 The reason, Storey said, is Saskatchewan has more of a history growing organics and has more infrastructure, including a grain elevator devoted to organic grains in Regina, that make it easier for producers to market their product. Alberta, which has about twice the cultivated acres as Manitoba, has about four times the organic acreage as Manitoba. Storey said the Alberta government has put more money into organic farming than governments in Manitoba. Read more by Bill Redekop .